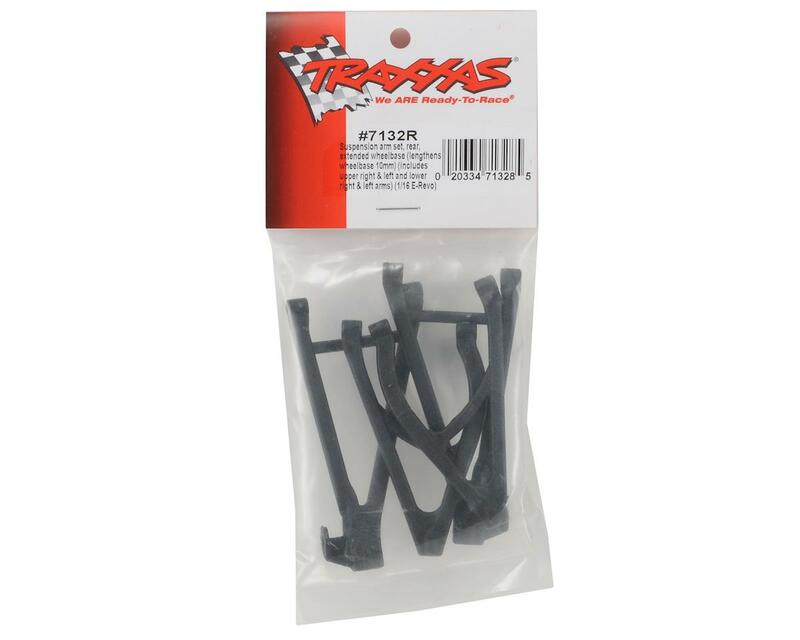 This is an optional Traxxas Extended Wheelbase Rear Suspension Arm Set, and is intended for use with the Traxxas 1/16 E-Revo. 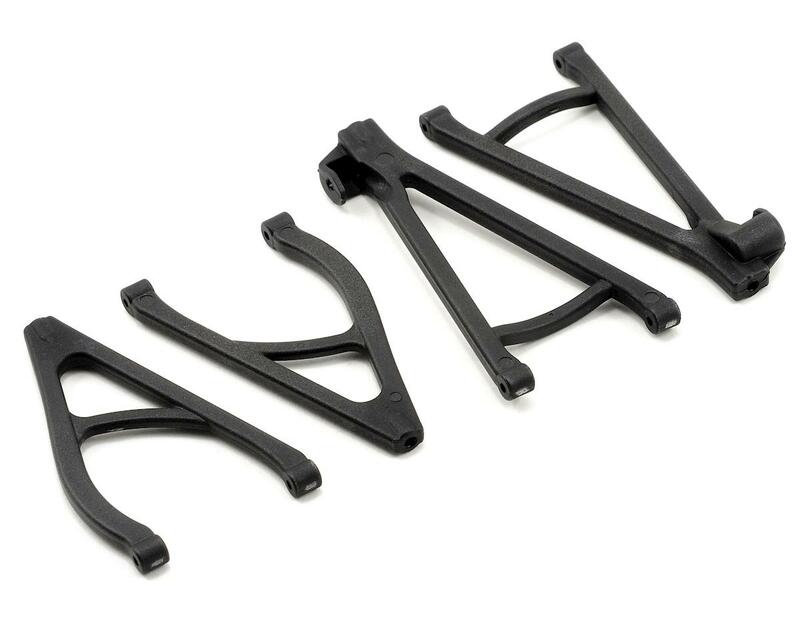 Add 10mm of wheelbase extension to 1/16 E-Revo in just minutes! Lengthening the wheelbase of your 1/16 E-Revo allows you to accelerate hard through the roughest track sections with increased stability and confidence. The longer wheelbase also helps keep the 1/16 E-Revo planted for holeshot launches and hold full-on power through the turns. Traxxas makes it easy by building the adjustment into the rear arms. Installation is a snap and the extended rear arms allow the wheelbase to be quickly tuned for various track conditions.